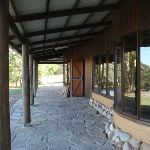 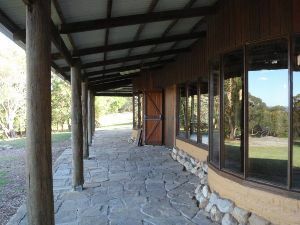 From the car park next to the mud brick building, this walk heads downhill beside the road against the flow of traffic. 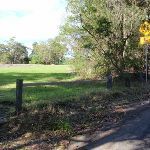 The road bends left and comes to a ‘T’ intersection, where this walk turns left and heads up the road (past the ‘No Entry’ road sign) for about 20m, coming to the intersection with the signposted ‘Ridge Trail’ (on the right). 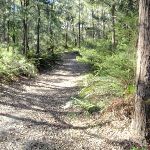 Veer right: From the intersection, this walk follows the ‘Ridge Trail 1500m’ sign away from the road and picnic area. 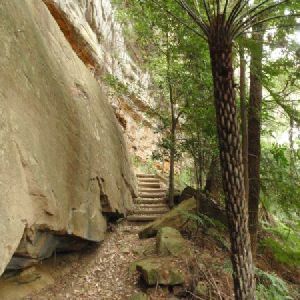 The track soon leads over a rock platform and down the steps. 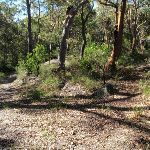 The track then follows the ridge, passing close to a management trail (on the right) a couple of times and down a series of timber steps. 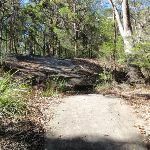 The track leads down through some rocks and, just after this, comes to an intersection at the end of the management trail in a sandy clearing. 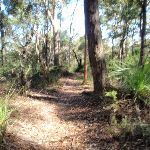 Turn right: From the intersection, this walk follows the management trail north, gently downhill (keeping the Ridge Track on the right). 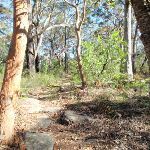 The walk enjoys some filtered views to the left before starting to climb gently up the hill and passing very close to the Ridge Track a couple of times (on the right). 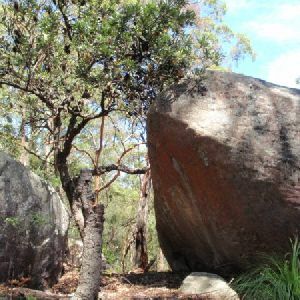 The trail soon comes to and passes some large split rock boulders then rounds a locked gate. 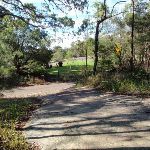 From here, the walk heads up the hill then crosses the road and rounds another locked gate, coming to the southern end of Honeman’s Rock (with the mud brick building up the hill to the right). 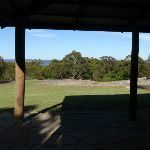 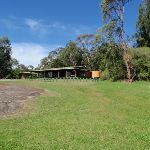 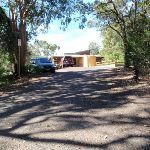 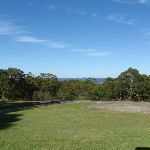 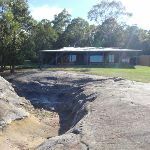 Turn right: From Honeman’s rock, this walk heads up the hill over the grassy clearing to the front of the mud brick building and the car park on the right. 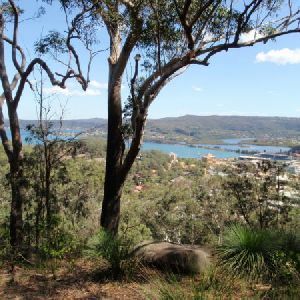 500m of this walk has gentle hills with occasional steps and another 410m has short steep hills. 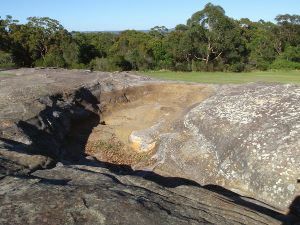 The remaining (55m) is flat with no steps. 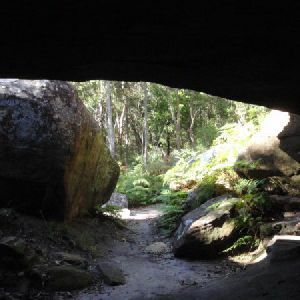 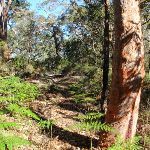 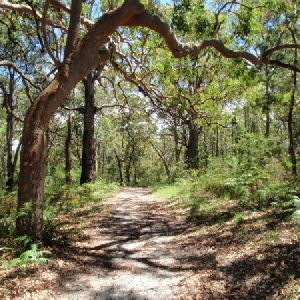 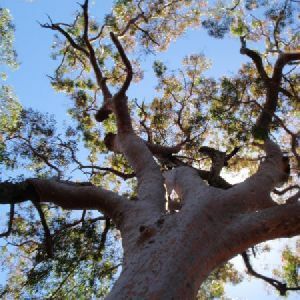 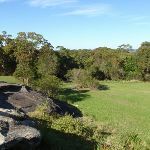 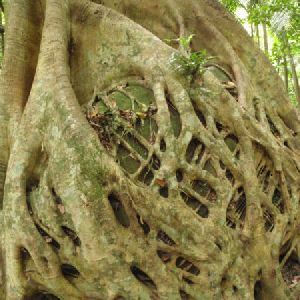 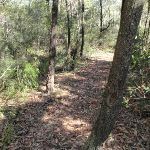 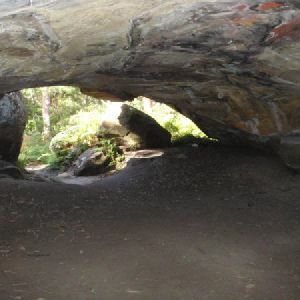 500m of this walk follows a clear and well formed track or trail and another 410m follows a formed track, with some branches and other obstacles. 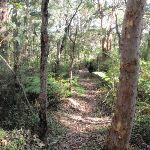 The remaining (55m) follows a smooth and hardened path. 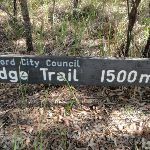 Around 850m of this walk has directional signs at most intersection, whilst the remaining 120m is clearly signposted. 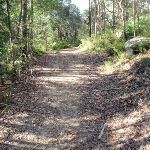 This whole walk, 960m requires no previous bushwalking experience. 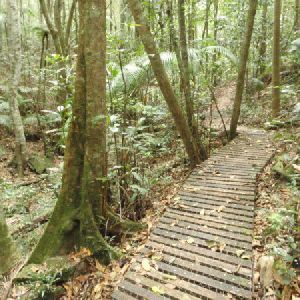 This whole walk, 960m is not usually affected by severe weather events (that would unexpectedly impact safety and navigation). 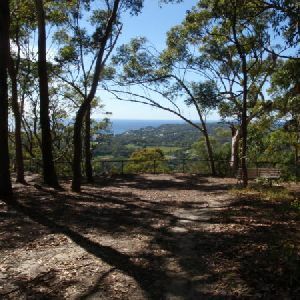 This whole walk, 960m is close to useful facilities (such as fenced cliffs and seats). 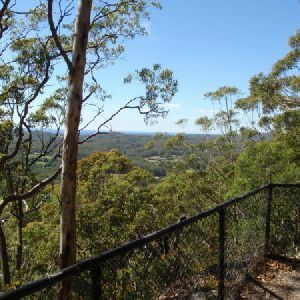 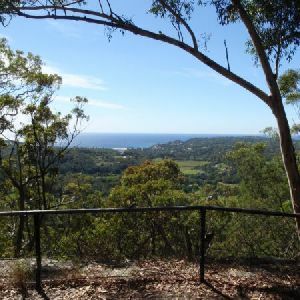 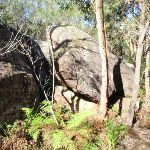 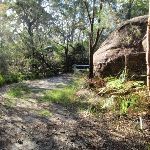 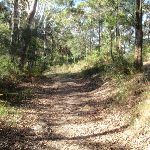 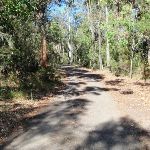 A list of walks that share part of the track with the Ridge Trail loop walk. 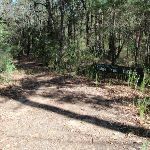 A list of walks that start near the Ridge Trail loop walk. 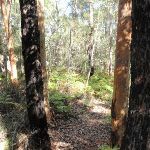 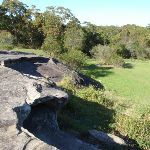 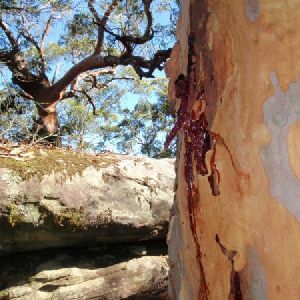 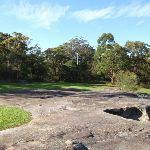 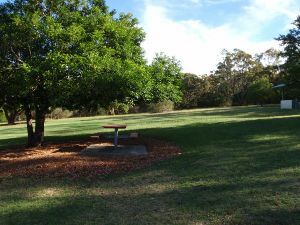 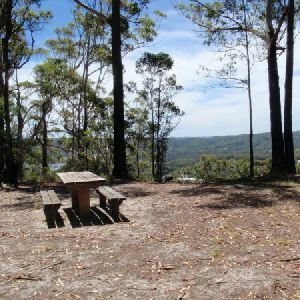 http://new.wildwalks.com/wildwalks_custom/includes/walk_fire_danger.php?walkid=nsw-kincumbamrr-rtl Each park may have its own fire ban, this rating is only valid for today and is based on information from the RFS Please check the RFS Website for more information.